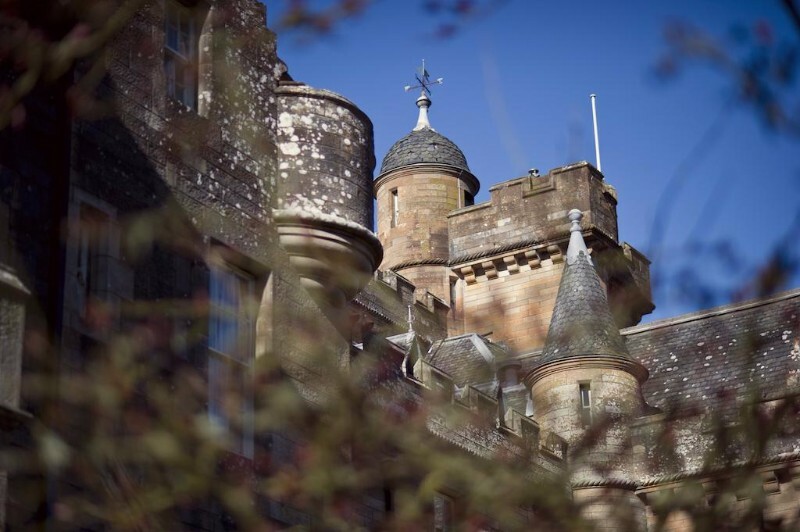 Glenapp Castle, a 5 Star Luxury Castle Hotel near Glasgow, Scotland. Most Famous Guest: Sir Winston Churchill. 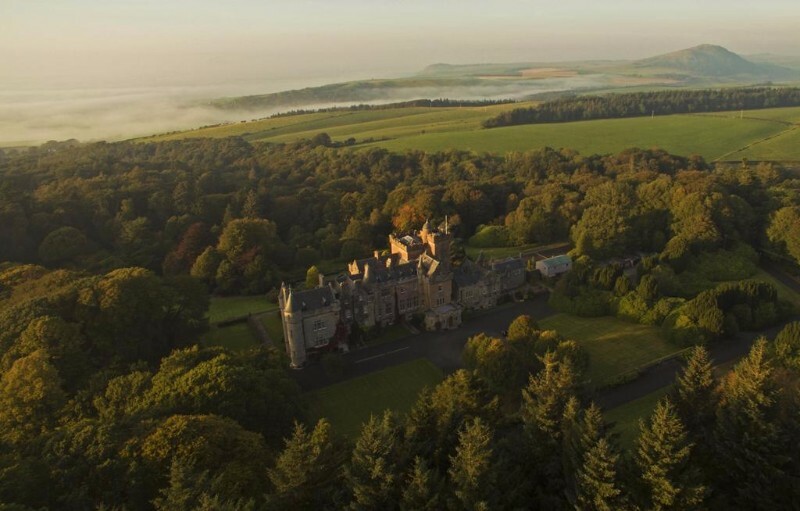 Glenapp is an extremely charming luxury castle hotel hidden away in the forests of South Ayrshire, near Glasgow, Scotland. 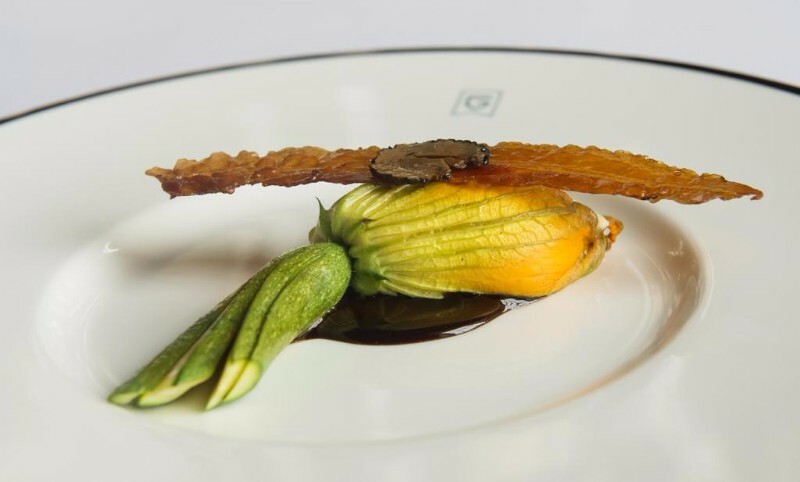 It has, since its inception in the year 2000, offered the best in five star luxury with consistently high levels of hospitality and friendly service. 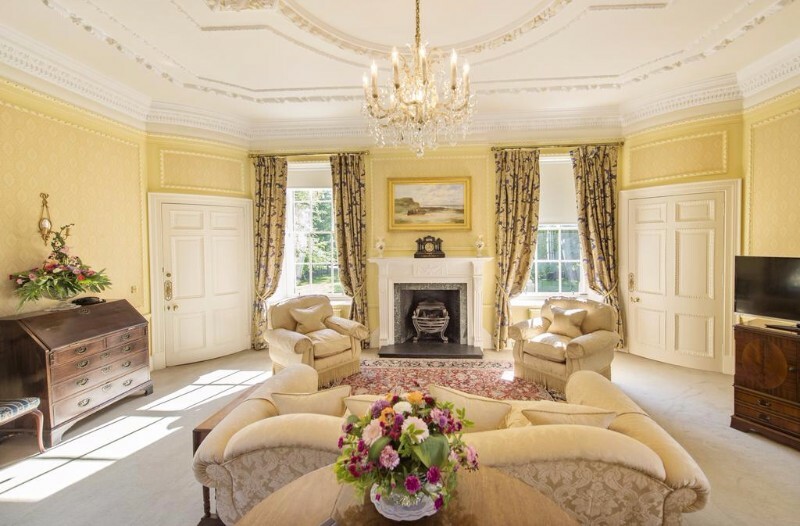 Designed by renowned architect David Bryce in the 1860’s, it is to this day one of the finest examples around of the Scottish Baronial style of architecture. 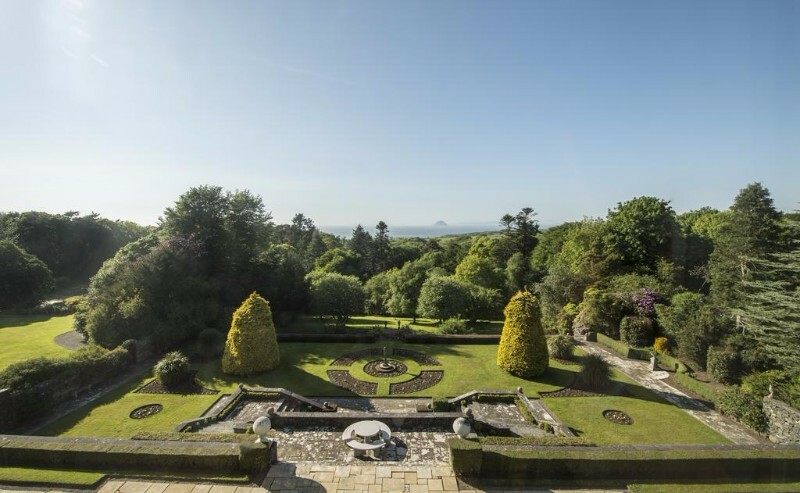 It is filled with elegant period features and furnishings, has a world class, Michelin Star winning, restaurant, and with acres of landscaped gardens, sea views and a secluded forest setting it makes for a wonderfully romantic hideaway. 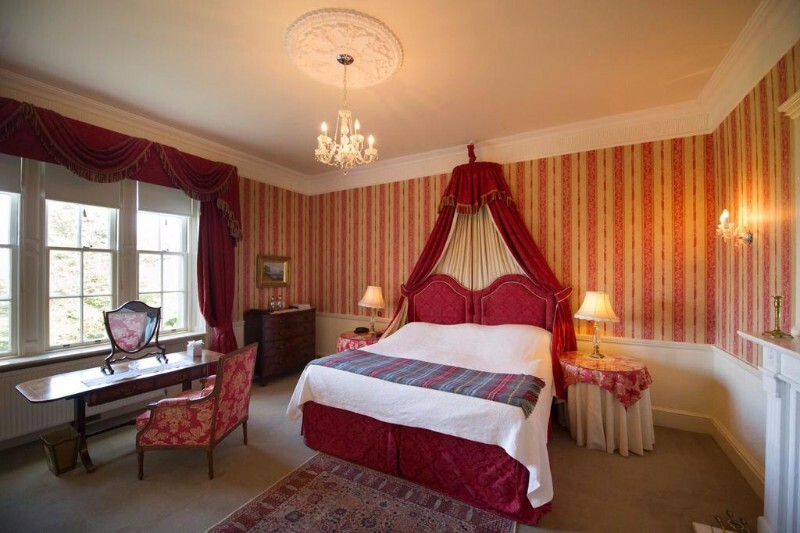 There are seventeen B&B rooms and suites to choose from at Glenapp Castle. 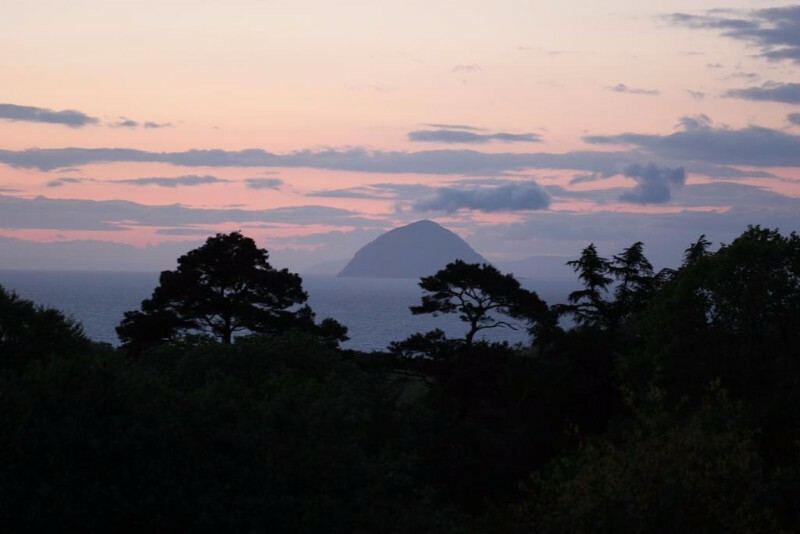 Many of them (on the upper floors) have sea views where you can look out upon the famous volcanic rock of Ailsa Craig, the Isle of Arran and Holy Island in the distance, and on clear days it’s even possible to catch a glimpse of the hills of Antrim far across the water in Ireland. 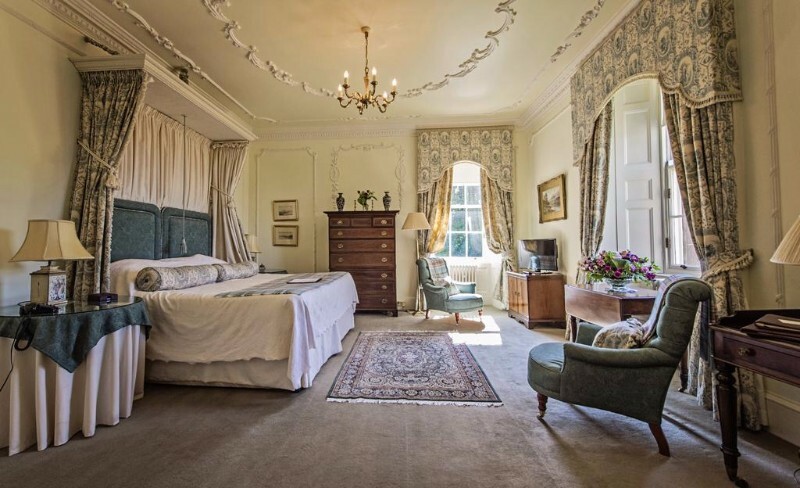 These are more expensive, naturally, than the ground floor rooms but you will find all of their rooms super comfortable, spacious and lavishly furnished with Victorian era antiques. 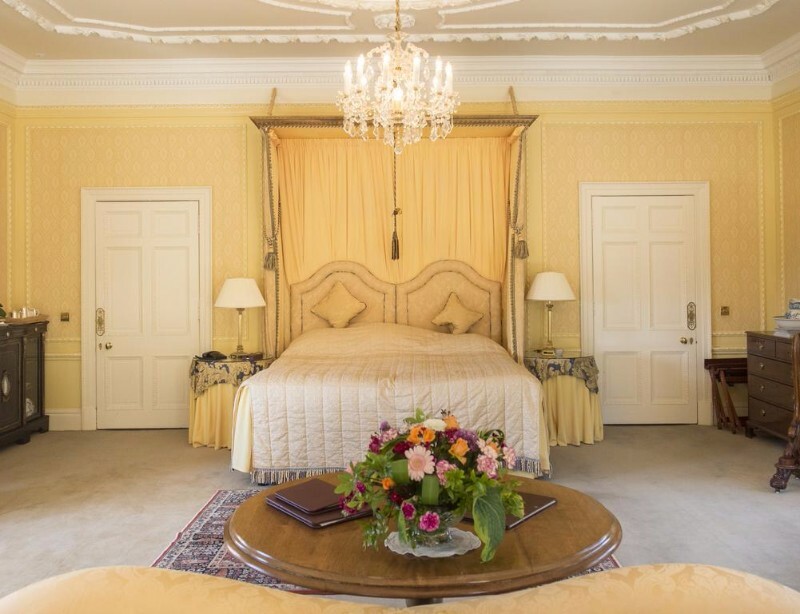 Each room comes with extra seating, a study desk and flat screen TV & DVD player, and they also all come with suitably luxurious en-suite bathrooms. 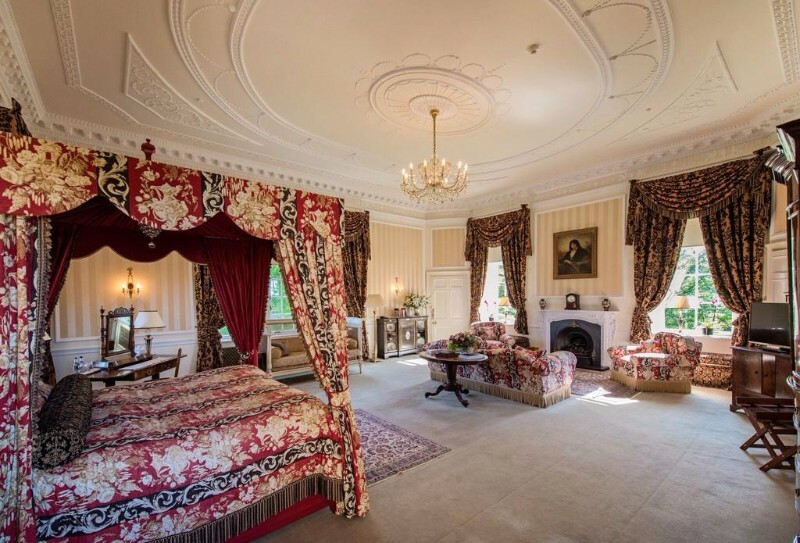 Some of the larger rooms also come with their own fireplace. 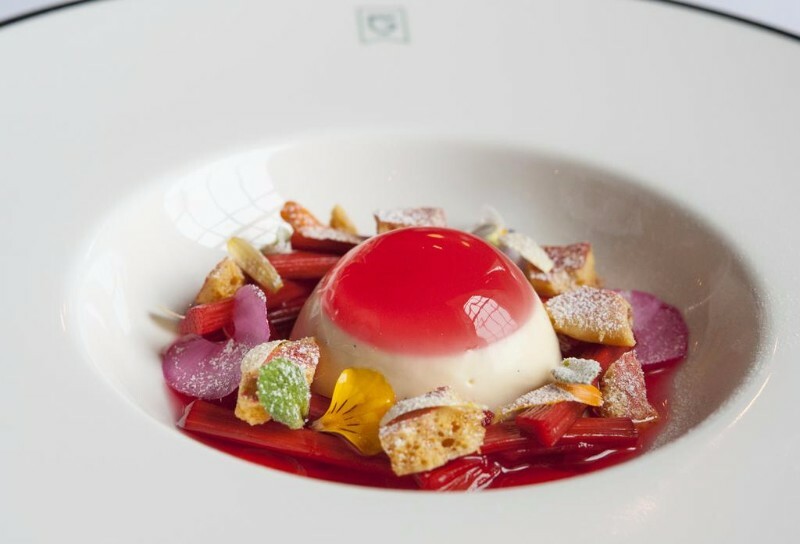 You can check your options on the booking page here. 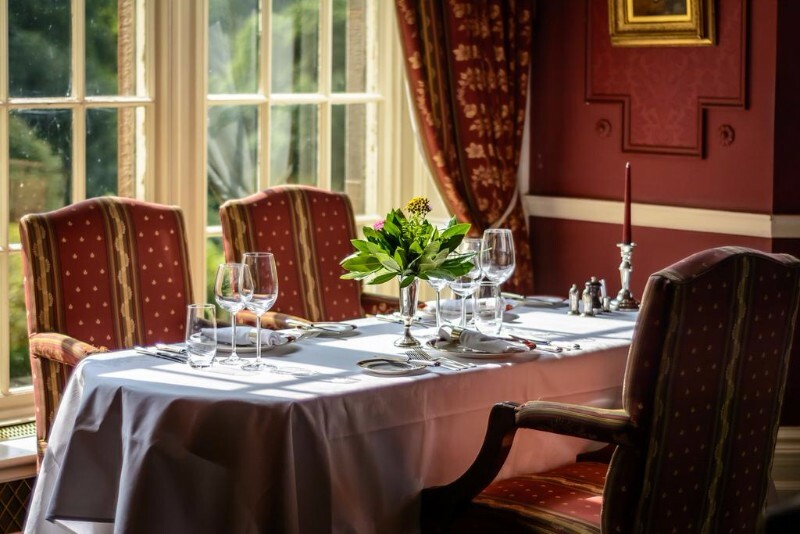 The restaurant is obviously a star attraction at the castle, with some superb food to be sampled and some lavish three to six course dinner options. 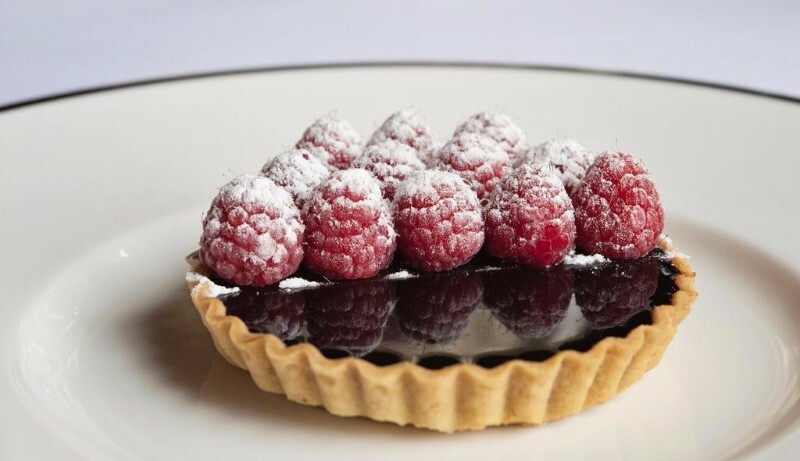 But there are also tearooms to be enjoyed too which serve light lunches and some delicious home baked treats. Their breakfast is suitably fantastic too; generous and full of choice. 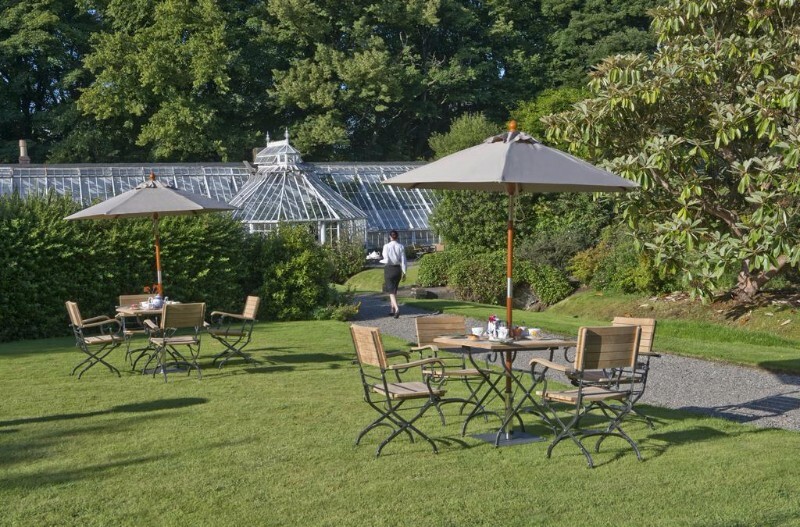 You can dine inside or, in fine weather, outside on the lawns overlooking the Victorian greenhouses from where some of the ingredients for that fine food are still grown. 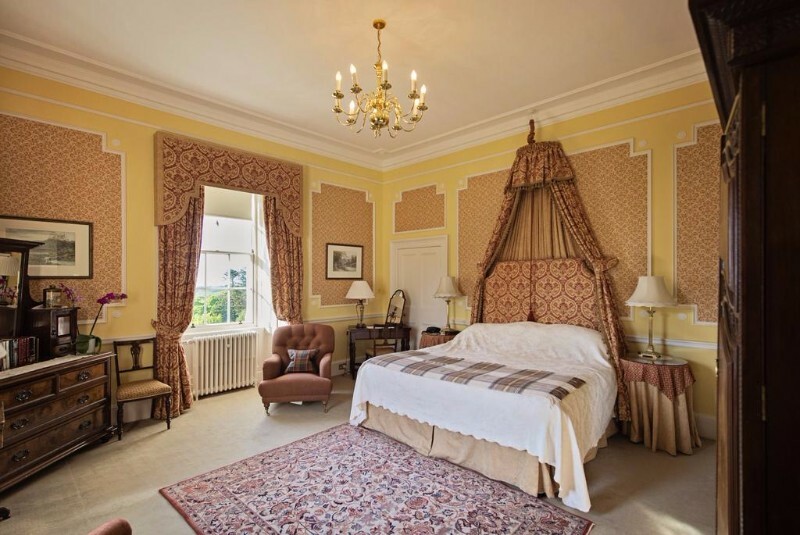 There is much common space around the castle and you can wander the beautiful oak paneled hallways, enjoy board games in the drawing room or relax around the fire in the lounges. 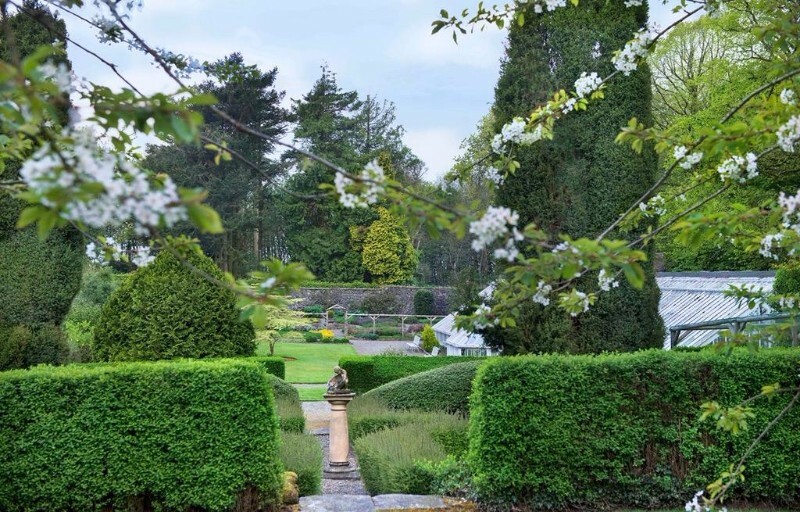 The gardens, all 36 acres of them, are very beautiful too, and make for some very peaceful, atmospheric, evening strolls. 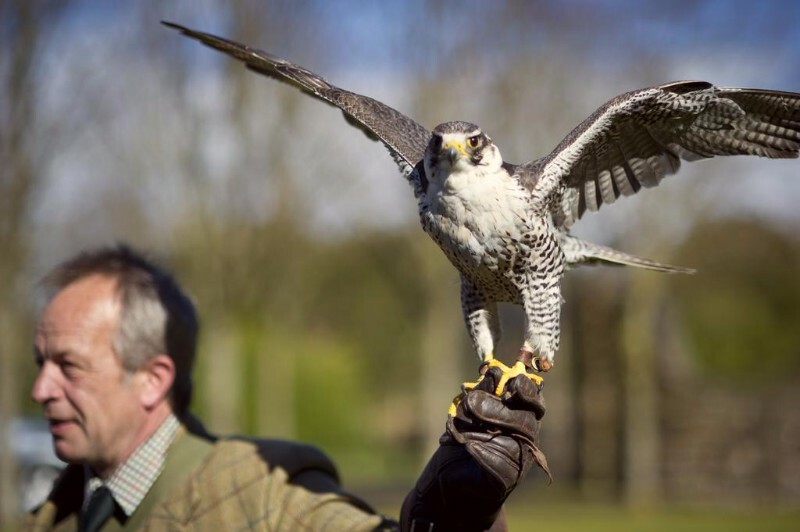 The more active among you will appreciate the tennis courts plus you can watch falconry exhibits or try your hand at archery, croquet or boules on the castle grounds. 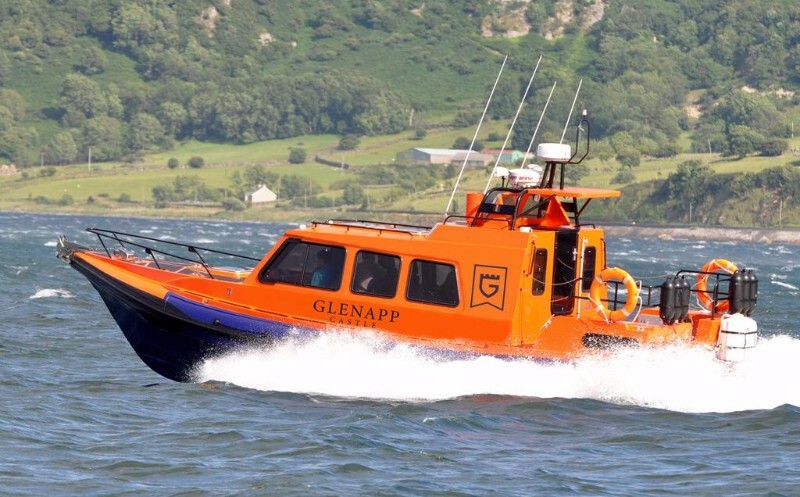 All sorts of other sporting activities can also be arranged at the hotel; The staff at Glenapp are consistently helpful and can organize all sorts of things in the local area such as boat trip adventures as far out as Ailsa Craig, fishing (river salmon fishing & sea fishing) hikes around the Galloway Forest Park, horse riding, golf, cycling and plenty more. 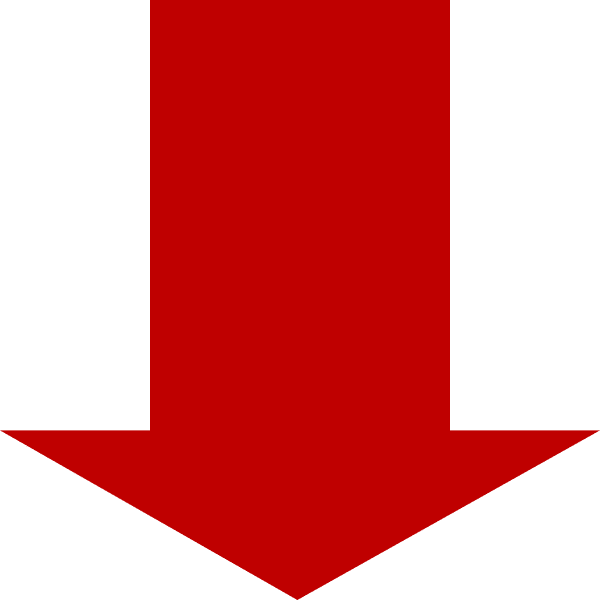 More practical things too can always be arranged, things like airport transfer, car hire, packed lunches, child minding/baby sitting, massage services and a full range of the usual 5 star hotel concierge services. Sometimes overlooked by the more famous Highlands to the north, this part of Scotland is, to the more savvy traveller, a hidden beauty. 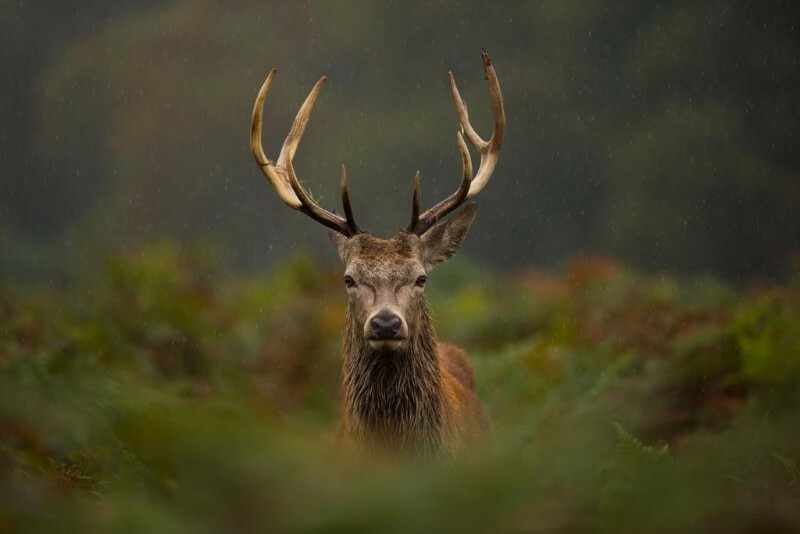 Just up the road from the castle hotel there is the Galloway Forest Park, Scotland’s largest and an area of wild scenery; mountains, forests and rivers. 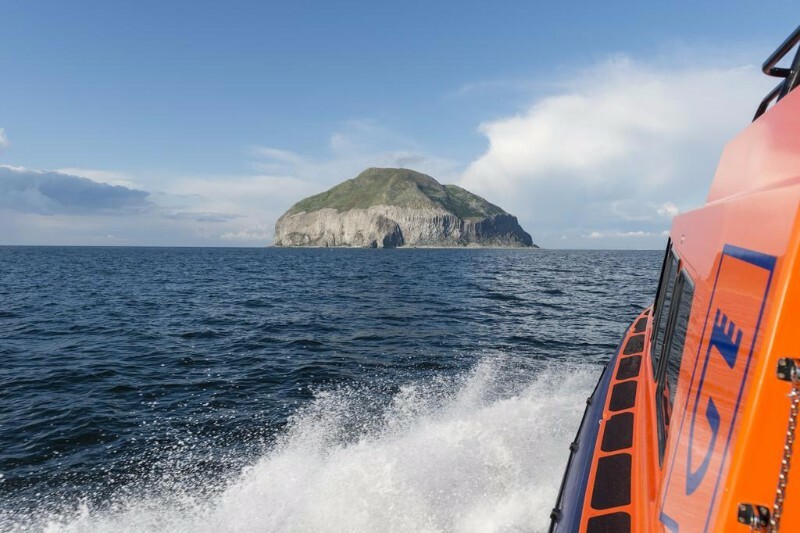 The Isle of Arran is close by too by boat, as is the Mull of Kintyre and also, farther away, the mystical, ancient monastic site of Holy Island. 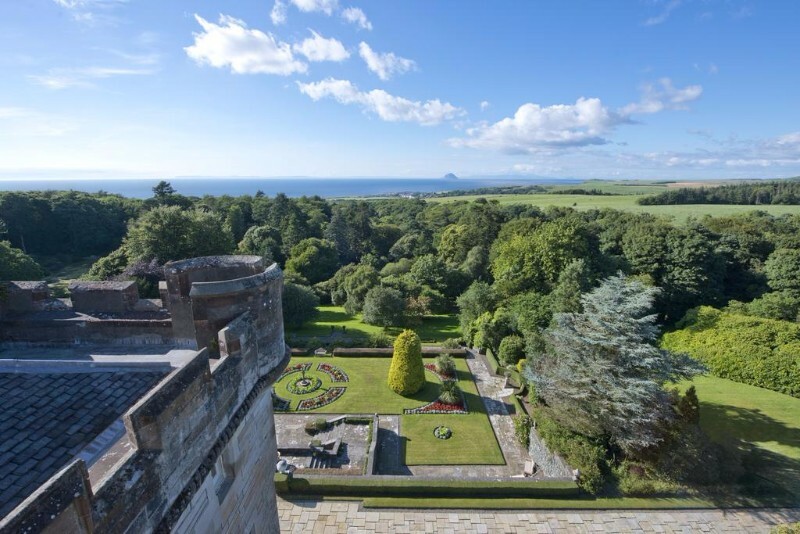 There is history here too, Ayrshire has over 40 castles scattered around and was the homeland of 14 Scottish clans including the Campbells, the Montgomerys, the Wallaces, the Hunters and the Hamiltons. It is also the birthplace to probably Scotland’s greatest cultural icons writers; Robert Burns. Most famous perhaps for the New Year’s Eve anthem Auld Lang Syne, his birthplace, in Alloway outside the town of Ayr, is now a museum known as Burns Cottage and one of the area’s biggest tourist attractions. 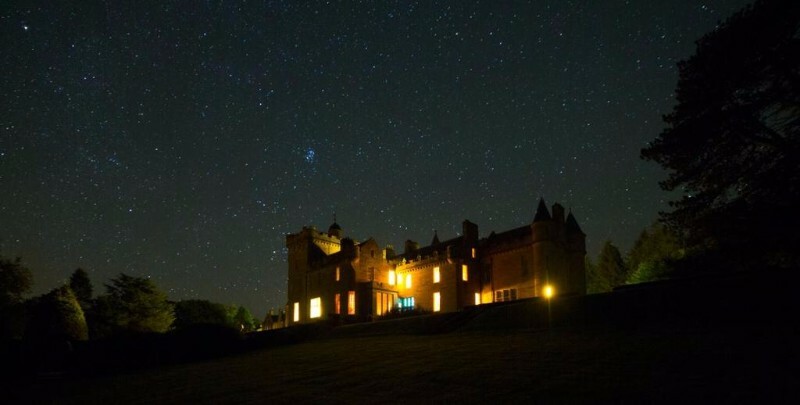 In terms of access Glenapp Castle Hotel is just over 40 miles from Glasgow Prestwick Airport and about 70 miles from the city of Glasgow and its man international airport in nearby Paisley. Transfers can of course be arranged to and from these airports by the hotel. 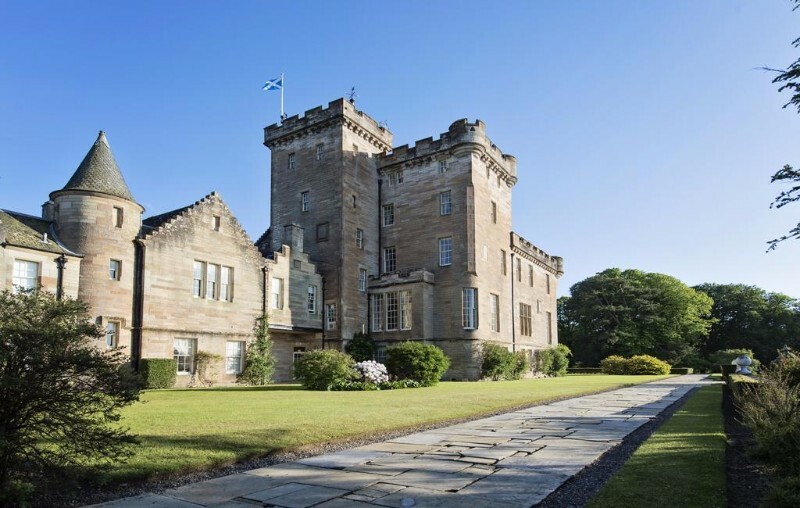 Originally commissioned as a private residence for James Hunter, the local Deputy Lord Lieutenant of the County, the castle was designed by one of Britain’s most famous architects of the time, David Bryce, from Edinburgh. 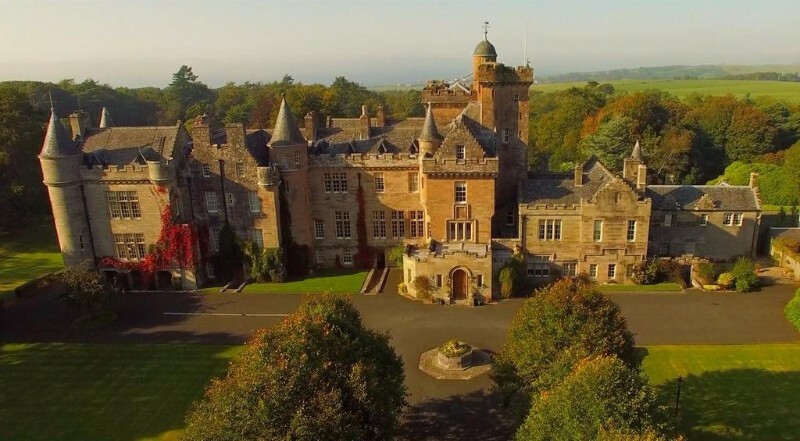 At the time, the mid 19th century, Scotland was undergoing a revival of what was known as Scottish Baronial architecture. This was a gothic style rooted in the 16th century, one which fell in and out of fashion as part of the Gothic Revival until the early 20th century and was frequently characterized by, amongst other things, the presence of many small turrets known as tourelles. 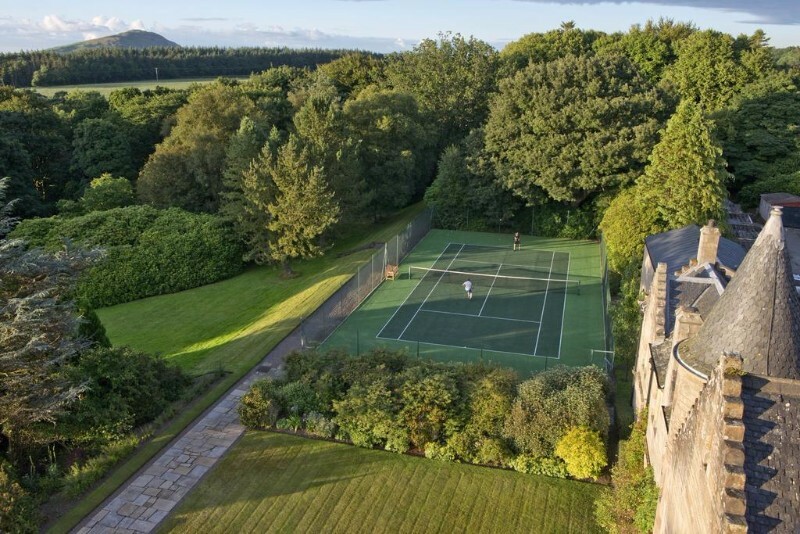 Much of the walled gardens surrounding the castle were designed by another famous figure of the time, Gertrude Jekyll. She was a renowned horticulturist and garden designer who created hundreds of gardens in her lifetime and also wrote countless books on the subject. They also include some very Victorian style glasshouses in which, as was very much in vogue at the time, many exotic species from warmer climes were, and are still are, grown. 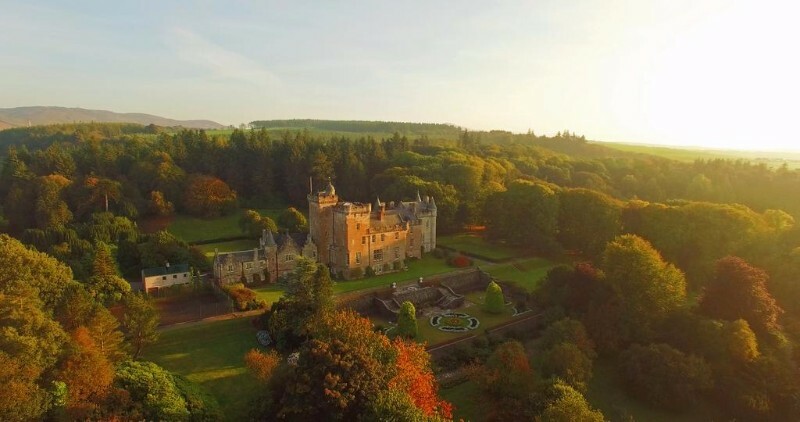 Finished in 1870 the castle remained in the hands of the Hunter family until 1917 when it was bought, again as a private residence, by the First Earl of Inchcape, James Mackay, a former British colonial administrator in India. 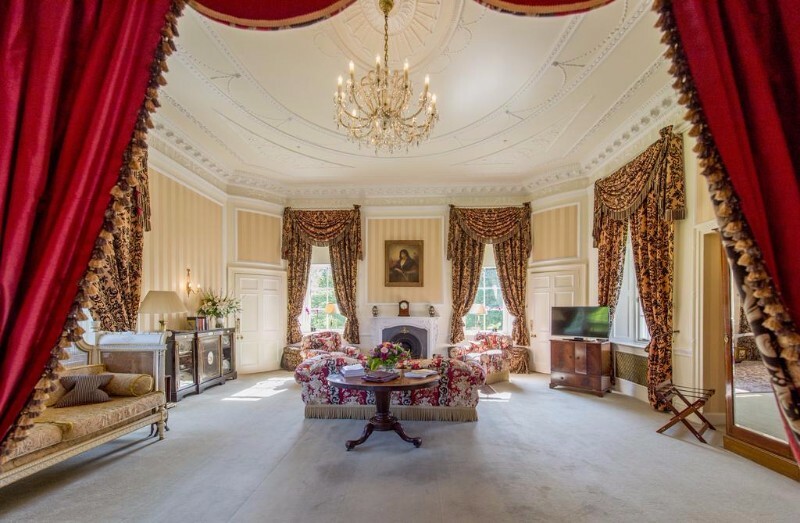 It too was to become the home for a time of a notable, somewhat rebellious, figure from the 1920’s; Elsie Mackay, James’ daughter, who had a brief brush with stage and silent movie stardom under the pseudonym Poppy Wyndham. She caused something of a scandal within the family when she eloped with one of the better known faces from the silent movie era, Dennis Wyndham, in 1917 and was disinherited until the marriage was annulled in 1922, and she was then welcomed back into the family and into Glenapp. Sadly though, she would never see any of the inheritance, as in 1928 she died in a brave attempt to become the first woman to fly across the Atlantic in a single engine monoplane, cementing her place in history as something of a pioneer in both aviation and feminist circles. 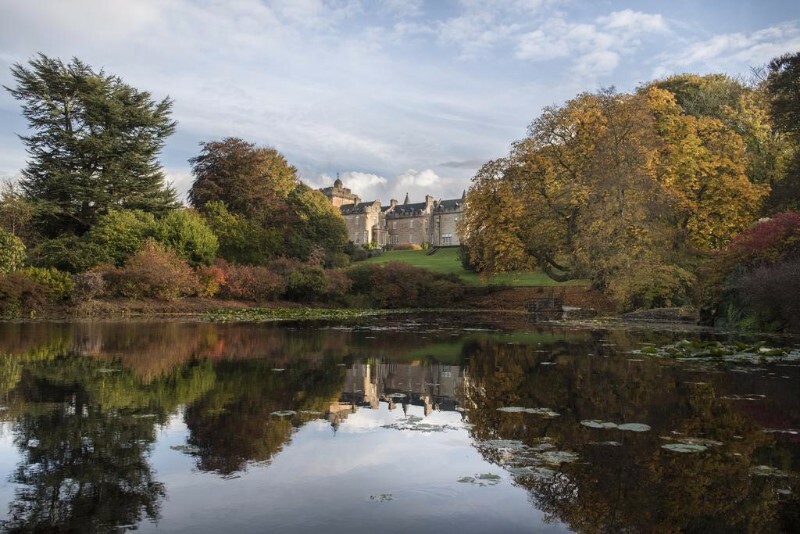 Glenapp Castle itself was to also in a small way cement its place in history when in 1944 Winston Churchill came to stay at Glenapp Castle. He wasn’t taking a relaxing break at the height of WW2 though he was there to consult with the head of the house; the now Lord Inchcape, who in his role as chairman of the shipping company P&O, was sought out by Churchill to provide logistical advice about the upcoming D-day landings, which were to become of course one of the defining elements of the war. The Inchcapes were to sell up and move on in the 1980’s though after which the castle fell into neglect. 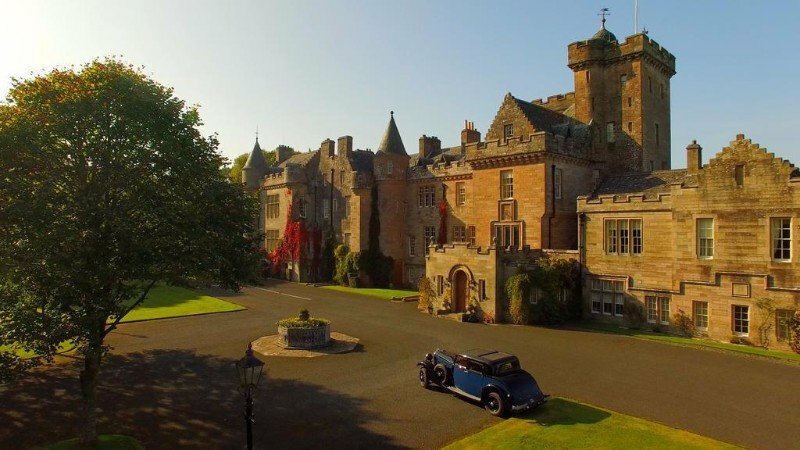 In 1994 though the well known Scottish hotel family the McMillans took over and restored the castle to its former glory. 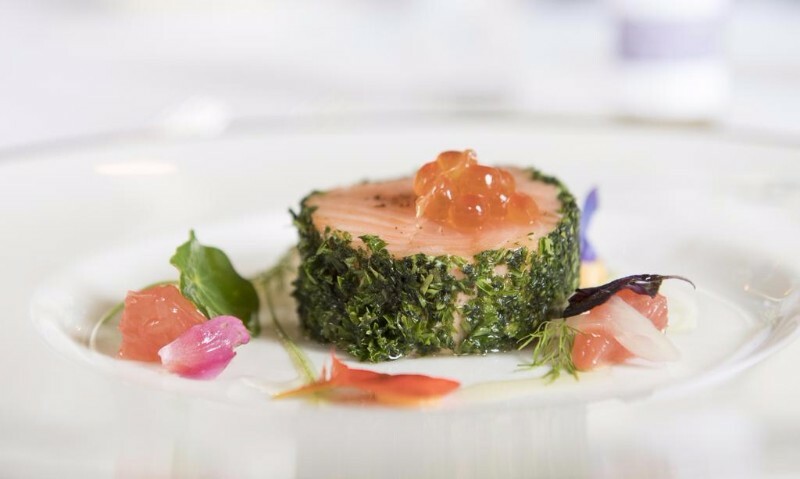 It took a full six years until the year 2000 to be finally opened as a hotel but within a short time it would become known as one of Scotland’s best castle hotels, winning many accolades and awards along the way, including, as mentioned above, a Michelin Star.